Resin wicker furniture is a durable, moisture resistant, low-cost alternative to natural wicker furniture. Resin wicker furniture is available in a variety of types and colors, from tables to swings, and can be any color. 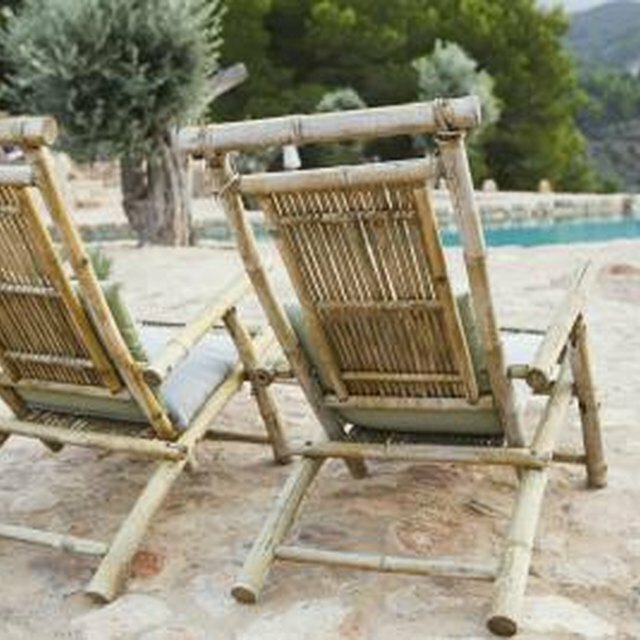 Cleaning it seems difficult at first, but with the right tools and instructions, you can make your dull and dirty resin wicker furniture look new for the cost of the cleanser, brushes and a few other inexpensive items. Remove loose cushions and [throw pillows](https://society6com/pillows?utm_source=SFGHG&utm_medium=referral&utm_campaign=4433), and loosen the dirt on the cushions with a soft bristle utility brush. Vacuum both sides of the cushions and pillows with a hand held vacuum. Mix 1/4 cup of mild laundry detergent with 1 cup of water, in a bowl and stir the solution, with a wooden spoon, until it foams and reaches the consistency of whipped cream. Clean the cushions and pillows with the laundry detergent solution applied to a damp sponge. Allow them to dry for one hour. Spray the resin wicker furniture with the spray from a garden hose. Mix a 1/4 cup of mild laundry detergent and a gallon of warm water, in a bucket, and stir it with a wooden spoon until it foams. Dip a soft bristle utility brush in the laundry detergent mixture and use it to clean any stubborn dirt on the sculpted wicker surface, re-wetting the brush often. Rinse the furniture with a steady spray of water from a garden hose and allow it to dry for two hours before replacing the cushions. Never use abrasive cleansers on resin furniture.